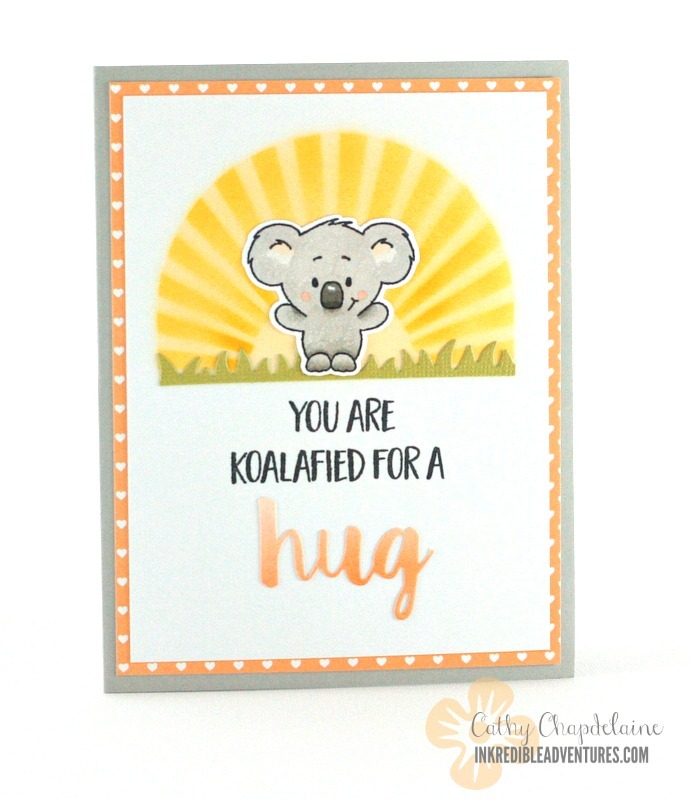 You Are koalafied for a hug! 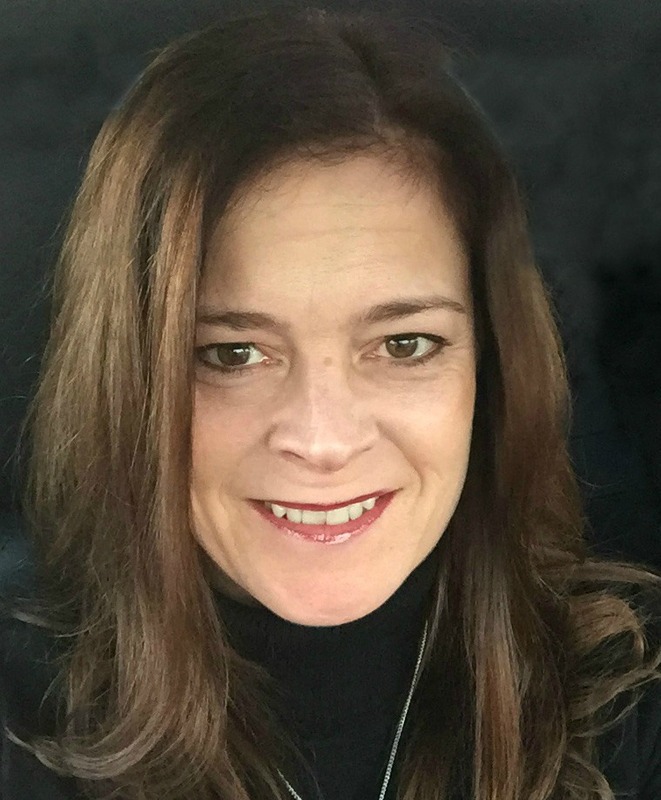 Hi again and happy Friday! I haven’t been able to do much crafting or post over the past couple weeks due to family circumstances and Hurricane Irma rolling through town and knocking out our power for a few days, but I’m finally back with a new card to share. 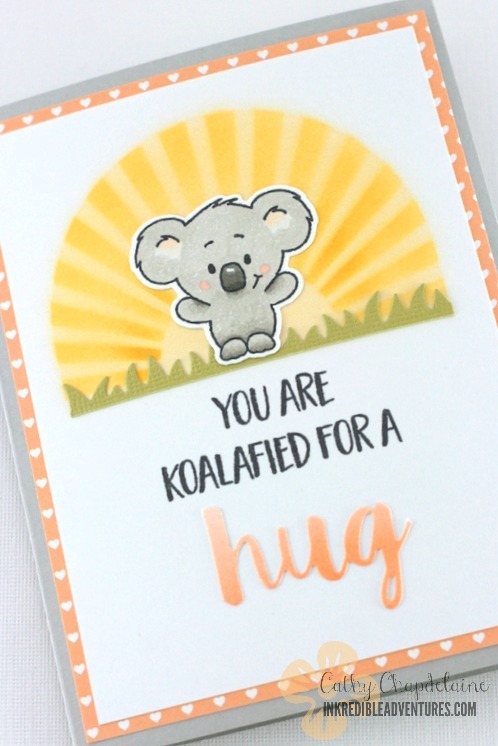 I’ve used quite a few MFT products on this one and the cute koala stamp is from Gerda Steiner Designs “You’re Koalafied” stamp set. First I cut a piece of white cardstock 3 3/4″ x 5″ and a piece of vellum 4 3/4″ x 6″. I created a stencil out of the vellum piece by die-cutting an MFT Stitched Dome Stax die-namics die about 1 1/2″ from the top edge of the vellum and centered left and right. I then taped the vellum over the white cardstock overlapping the edges of the white cardstock by 1″ all around (this gave me an edge of the vellum to tape down). I airbrushed the dome area using Copic Y21 and then taped an MFT Radiating Rays stencil over the top of the vellum and airbrushed again with Copic Y23 and Y26. 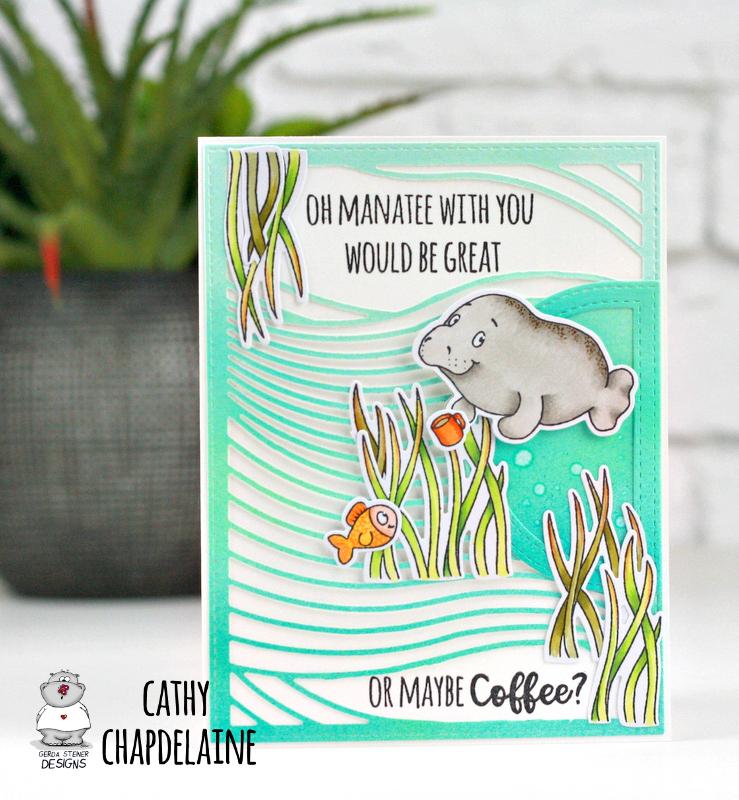 I added a thin die-cut strip of green cardstock using the MFT Grassy Edges die-namics and stamped, colored and die-cut my koala from the Gerda Steiner Designs set. 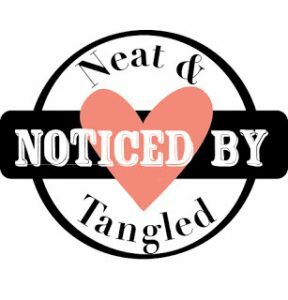 I stamped a sentiment from this set below the scene. 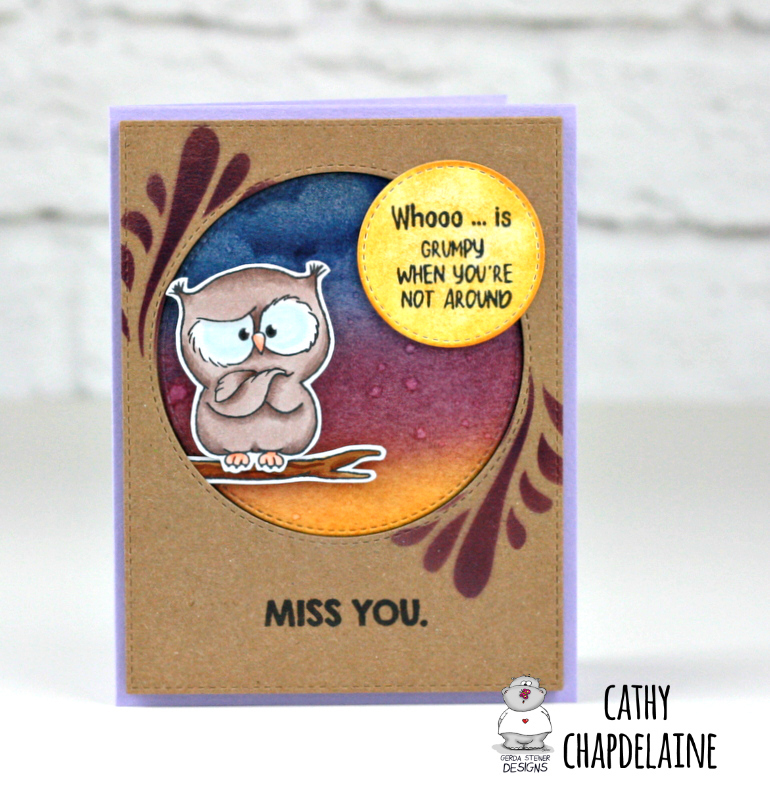 For the “hug” sentiment, I airbrushed a small piece of white cardstock using Copic YR61, YR02, YR65 and R01 and then die-cut from this piece using the MFT Hugs die-namics die. I cut the “s” off of the end of this die-cut to fit my sentiment. The patterned paper underneath is an MFT paper. Hope you enjoyed today’s card and have a great weekend! Happy Friday! I was playing with more watercolor techniques, so today’s card is a combination of an orange and gold paint with a dry brush technique. The biggest thing I’m loving about watercolor is the feeling of no rules. At least, that’s how I approach it. I don’t think there’s a right or wrong outcome as long as YOU like the outcome and this applies to any creative endeavor. Art is in the eye of the beholder, truly. 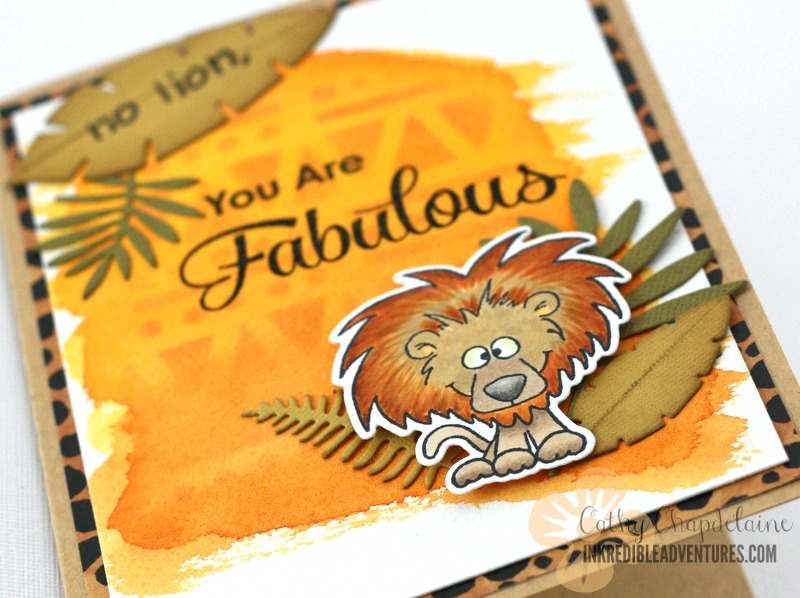 I used these deeper yellow shades with this lion stamp in mind. 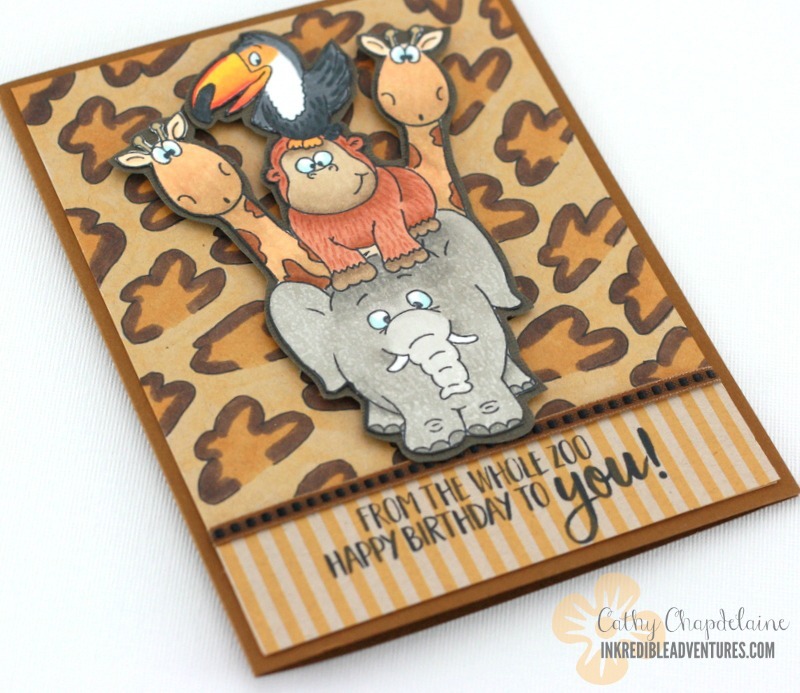 He’s from the Gerda Steiner Party Animals stamp set. After I painted the background, I taped a Hero Arts Tribal stencil across it and inked just over the watercolored area with Memento Potter’s Clay ink. I die-cut the leaves using the My Favorite Things Wild Greenery die-namics, inked all of the edges with Tim Holtz Frayed Burlap Distress Ink and stamped the “no lion” with a Lawn Fawn alphabet stamp set. 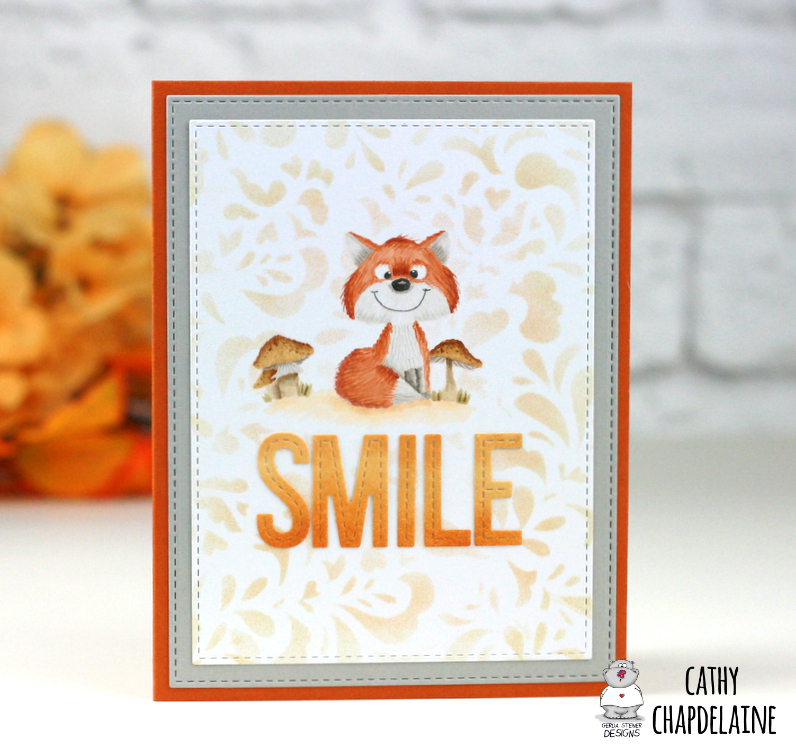 I was pretty much terrified to stamp the large sentiment directly on the background knowing if I messed it up, I’d have to do it all over again, but the MISTI really helped out here. I was able to stamp it several times to get a nice rich black on top of the paint and the textured watercolor paper. Big sigh of relief when it worked out! 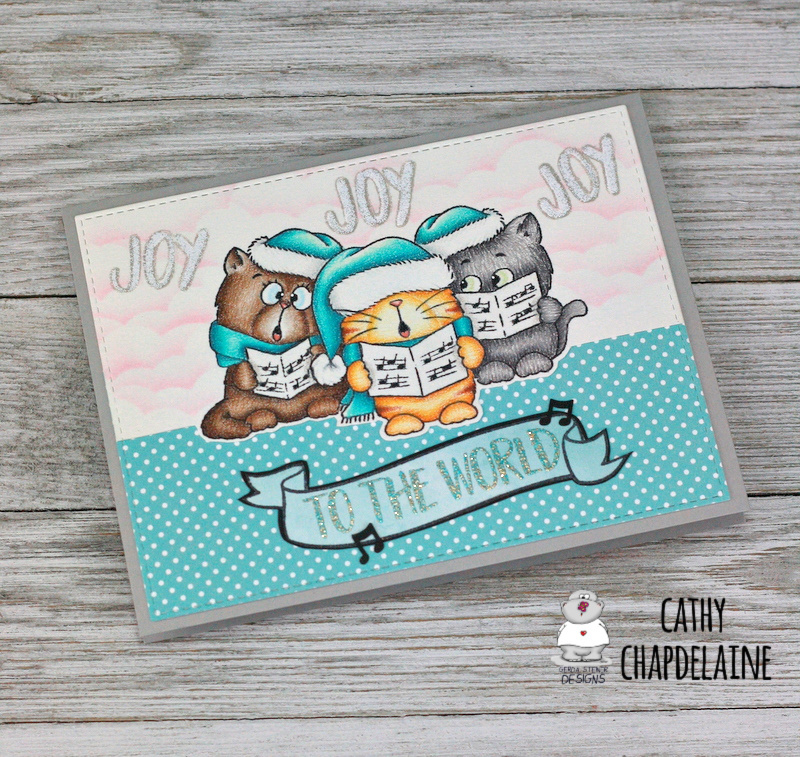 The sentiment stamp is from the My Favorite Things Simply Fabulous Sayings stamp set. I matted the watercolor cardstock on a cheetah print patterned paper before adhering it to the card base and then adhered all of the leaves. 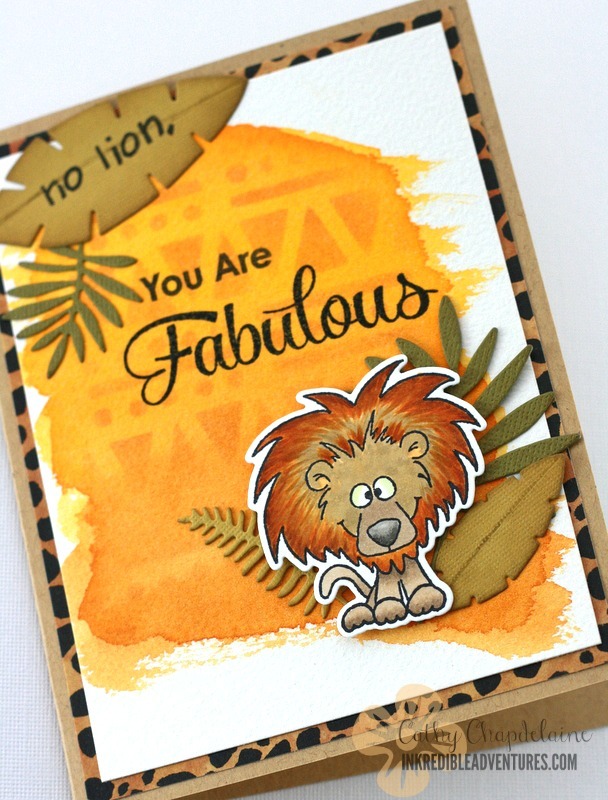 Next I stamped and colored the lion with Copics and die-cut the image with the coordinating die to this set. He’s popped up with a little dimensional adhesive to make him stand out more. Hope you enjoyed today’s little adventure and hope you have a fabulous weekend! Hi there! 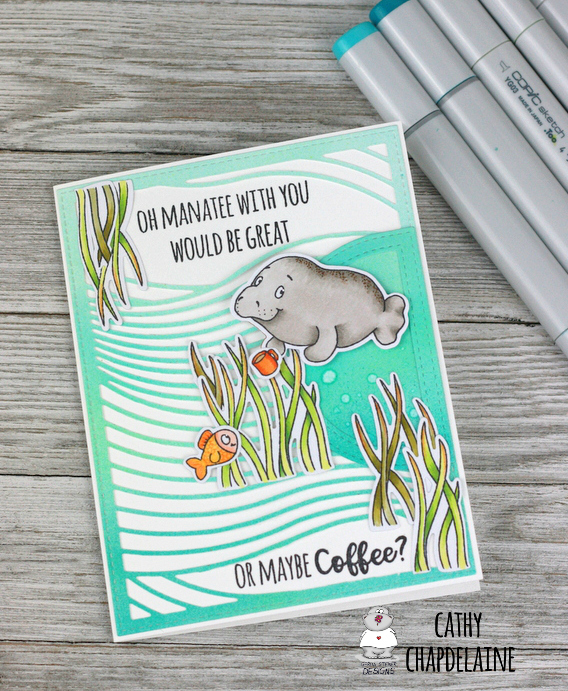 Today’s card is one of my favorites so far. How ’bout that llama? Isn’t he an adorable stamp? 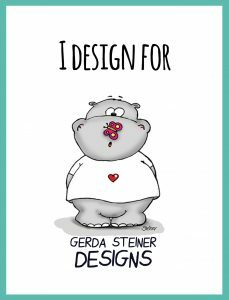 This is a Gerda Steiner Designs stamp set called Llama Tell You. I’ve only recently discovered this company and her images have such attitude. They’re really fun to work with! I colored this scene with Copics and when it comes to coloring unusual animals that you don’t see everyday, Google is your friend. I studied a whole bunch of images online until I found a llama with the colors I wanted for this scene. 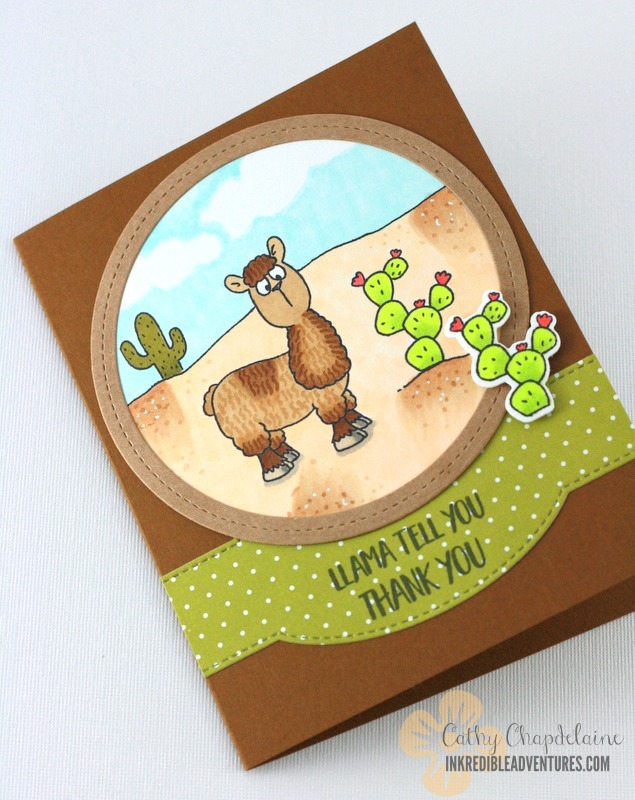 Did you know llamas come in a ton of different colors and “styles”? I used a few Die-namics dies from My Favorite Things on this card. 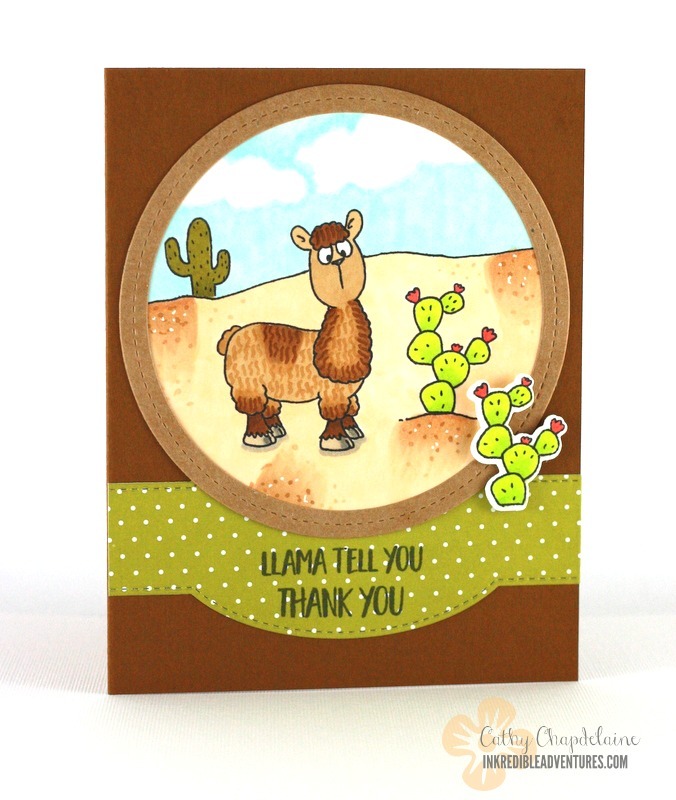 I die-cut the llama scene first using the Stitched Circle Stax Die-namics. I always die-cut my blank cardstock first and then stamp and color. Then, I die-cut a Single Stitch Circle Frame from kraft cardstock to accent my scene. The sentiment is stamped on a die-cut My Favorite Things patterned paper using the Sentiment Label Strip Die-namics die. This die has 2 rounded edges, but it was the perfect shape to go under my circular frame, so I just tucked the other rounded edge under my scene. 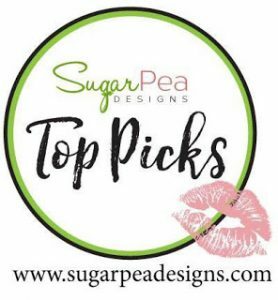 I stamped and colored a second prickly pear cactus and used a little dimensional adhesive to give the card a little extra something on the one side. 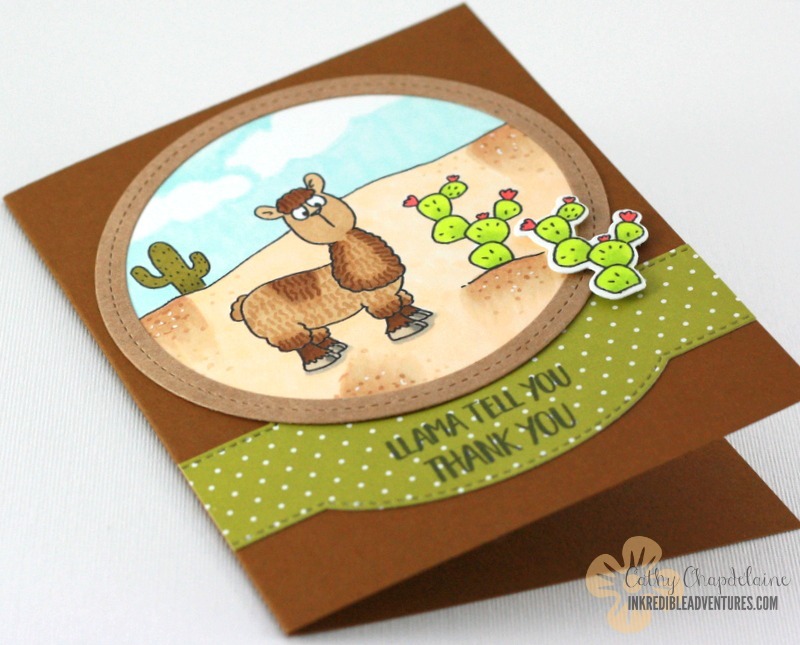 I hope you enjoyed my little llama and thanks for stopping by! Hi there! For today’s card, I’m going to show how to color a background print with Copics. I wanted some type of animal print background behind my little zoo, but instead of using patterned paper, I tried my hand at drawing and coloring a Cheetah print. First, I searched images for Cheetah print on Google to help me choose the Copic colors to use. I cut a piece of 100 lb. 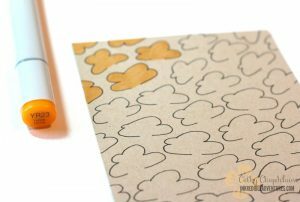 Neenah Environment Desert Storm cardstock 4″ x 5 1/4″. 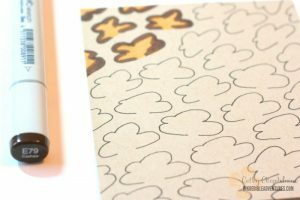 I chose this over white cardstock as it would be easier to color the entire piece with the brown and gold colors and I wouldn’t have to worry about streaking. 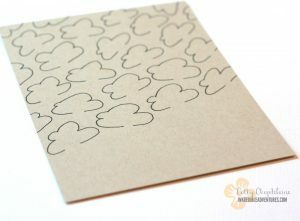 I then drew my pattern on the cardstock with a Copic multi-liner pen. Notice that I left a small portion of each shape undrawn. This will allow my gold tones to blend into each other just like a real Cheetah print. I filled each shape with YR23. Then, I colored along the inside edge of each shape with E79. I softened the edges of the E79 with the YR23 and then colored the rest of the background with YR21. 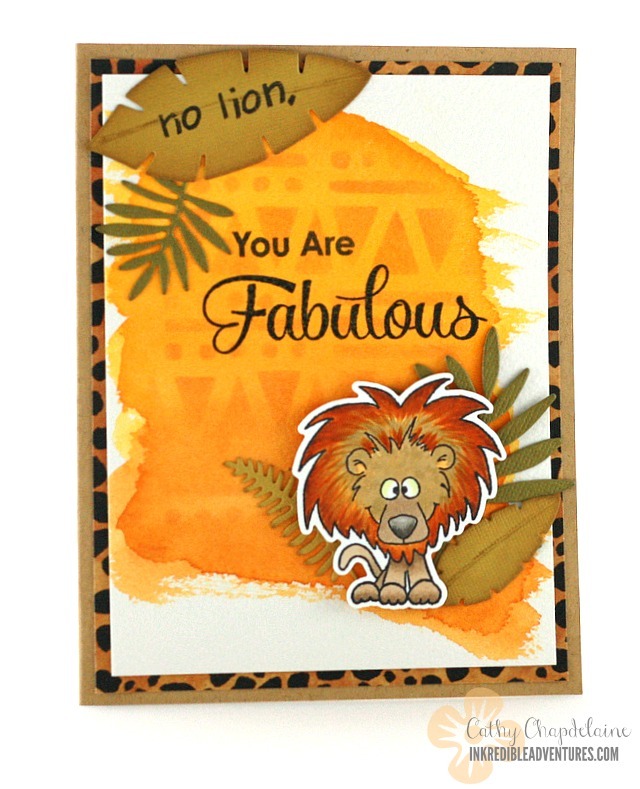 I stamped and masked my animals from the Gerda Steiner Designs Go Wild! 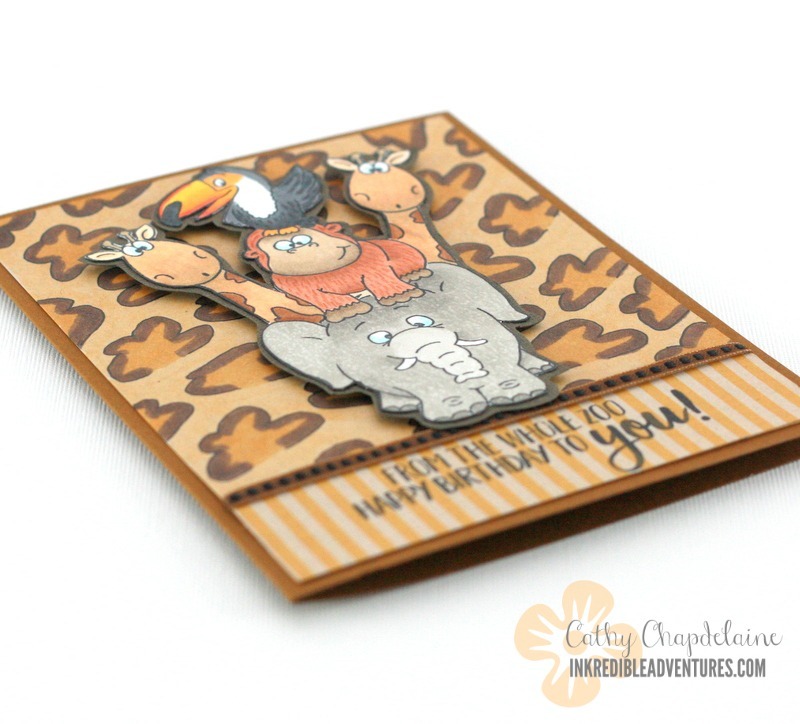 and Party Animals stamp sets using the MISTI. 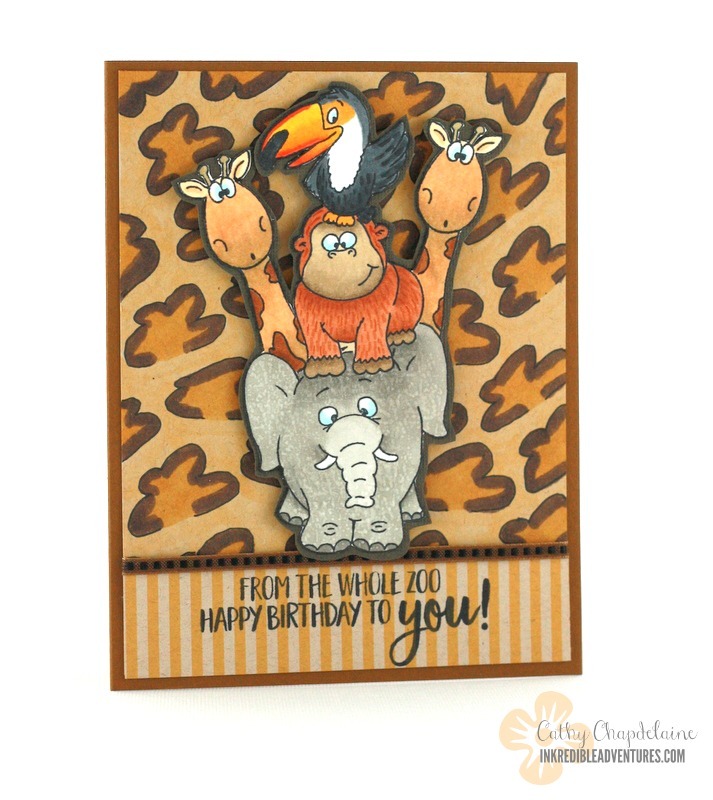 In a stacked design like this, you want to stamp the top image first (in this case, the toucan) and mask/stamp your way down from there. I colored my zoo with Copics and then fussy cut around the outside of the entire image of animals. I matted the animal image on dark brown cardstock and adhered it to the cheetah print background piece with dimensional adhesive to make it stand out more from the busy print. 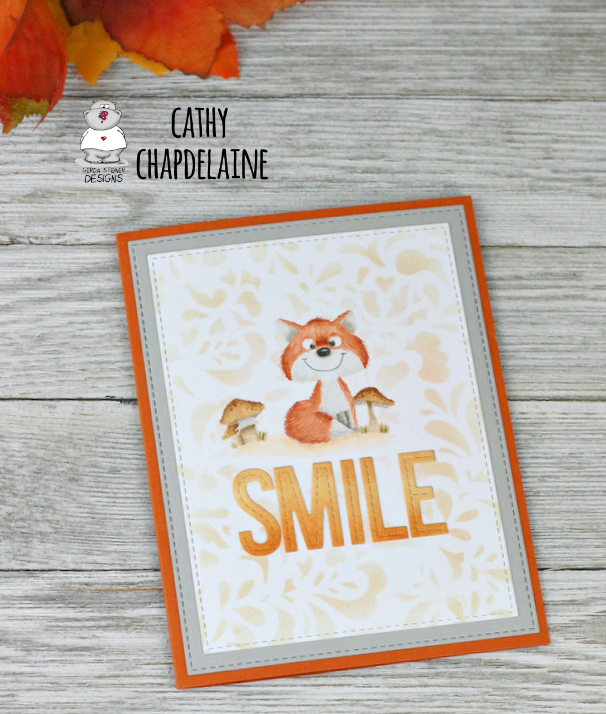 I stamped the sentiment on a 1″ x 4″ piece of patterned paper, adhered it to the bottom of the cheetah background piece and wrapped/adhered a piece of ribbon at the top of the paper piece. Just love these quirky little animals! 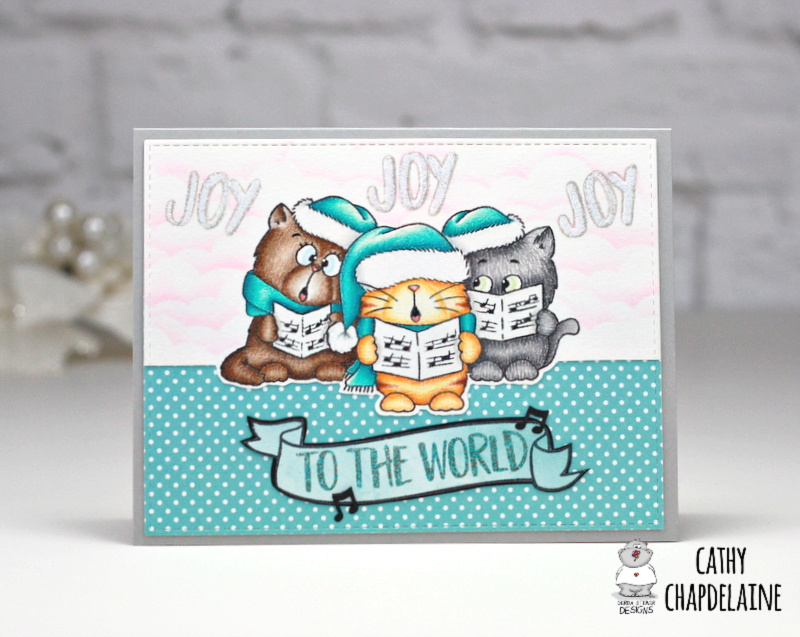 Hope you enjoyed today’s card and thanks for stopping by!